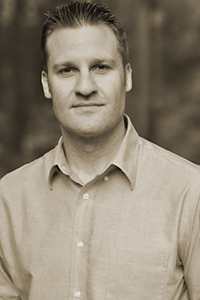 Jesse Goolsby is the author of the novel I’d Walk with My Friends If I Could Find Them (Houghton Mifflin Harcourt, 2015), which won the Florida Book Award for Fiction. His fiction and essays have appeared in The Literary Review, Epoch, The Kenyon Review, Pleiades, and elsewhere. He is the recipient of the 2010 Richard Bausch Short Story Prize, the 2009 John Gardner Fiction Book Award, and fellowships from the Sewanee Writers' Conference and the Hambidge Center for the Creative Arts & Sciences. A US Air Force officer, he earned his PhD in English from Florida State University and lives in Colorado Springs, Colorado.